Low fat, low cal and dairy free, this easy broccoli soup recipe is ideal for a clean eating lifestyle. Note the clever little clean eating trick here – a potato is used to thicken and add richness instead of using cream as is typical in “cream of broccoli soup”. Works like a charm, you would not know there is not actually cream in this soup. It has all the creamy richness, without the cream! And at just 64 calories a serving its a great addition to any weight loss or weight management regime. Super healthy – a great way to eat your broccoli and get a good dose of greens, especially if there really aren’t your thing (turning them into comfort food by way of a nice warm bowl of soup makes them go down so much better!). And like my mom always used to joke, “Broccoli makes you smart :)”. Love you forever mom. ~ For more vitamins and minerals, though, I sauteed onions, LOTS of garlic, celery, carrots, then added a garlic bouillon cube, and 3 or 4 chicken bouillon cubes, 3 large peeled, chopped potatoes, and 3 chopped heads of fresh broccoli. ~ I used fresh broccoli rather than frozen. If you go that route, do not add the stem. It takes too long to soften and my hand blender didn’t puree it whatsoever. ~ Used about two cups fresh broccoli and 4 cloves of garlic. Awesome! ~ I would have liked it without the nutmeg. I definitely recommend tasting it before adding the nutmeg. ~ This is oh so lovely! One potato was perfect for me. I can’t imagine how thick it would be if a second potato was added. Not sure why so many people are skipping on the nutmeg. I thought it was a nice touch. Don’t go crazy and add a bunch of “extras” to this soup, unless its spices though I didn’t think it was needed. It totally defeats the purpose of this being a low calorie soup! ~ I used two fresh broccoli heads and added 2 extra garlic cloves and one more cup of stock. I didn’t have potato on had, so I used 1 tablespoon instant mashed potatoes. This was really good! Very comforting and delicious, not to mention healthy! I will be making this again. ~ Was looking for a soup recipe to use mostly broccoli stalks and this was perfect. Simmer chopped up stalks for at least 30 min. and use a hand blender to puree. Plenty of garlic and fresh ground nutmeg gave it the right kick. ~ This soup is AMAZING! I didn’t change a thing! 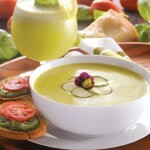 It taste like creamy broccoli soup with no dairy and few calories. 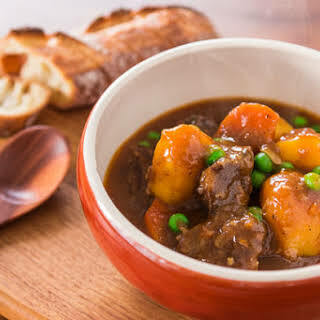 ~ I made some modifications: 1 1/2 onions, 3 stalks celery, 5 cloves of garlic, 1 carrot, 1 ½ large potatoes, 4 c. stock, 2 bullion cubes, 2lbs frozen broccoli, 1 tsp. 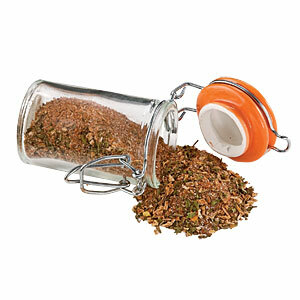 red pepper flakes, 1tsp nutmeg. Turned out rich, thick and creamy. ~ I added an extra small potato because other reviews said it was not thik enough and it was SO thick, I could have eaten it with a fork! But good, I also added 2 stalks celery. ~ I used vegetable broth instead of chicken because I’m a vegetarian. 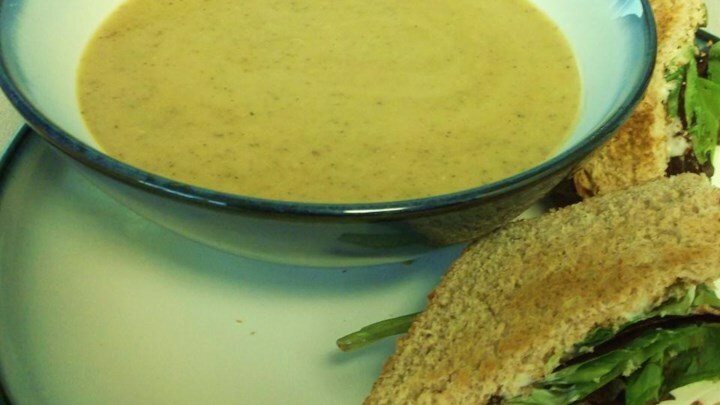 This soup is excellent for a low calorie soup. I will make it again. ~ I use different variations of this formula with other vegetables. I blended broccoli with kale this time and used butter to cook down the onions instead of olive oil. I passed on the nutmeg though. Still excellent recipe. 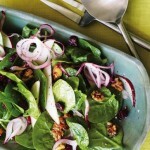 ~ Great low calorie meal without sacrificing the taste! I substitute chicken broth with vegetable broth to make it a vegetarian version. Also, using less broth (about 3/4 suggested amount) makes the soup just the right consistency for me. 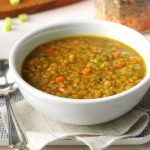 ~ My favorite way of topping these healthy soups to add richness is with a tablespoon or so of no-fat greek yogurt. Stir it into your hot soup and it adds a little tang and creaminess, just like sour cream would! 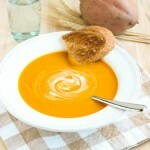 Also, I recommend Gisela’s Butternut Squash soup on this site for another great healthy soup! ~ I added 2 large chopped carrots and grated the potato. ~ My husband and I both thought it needed something, so we sprinkled grated parmesan cheese on top. 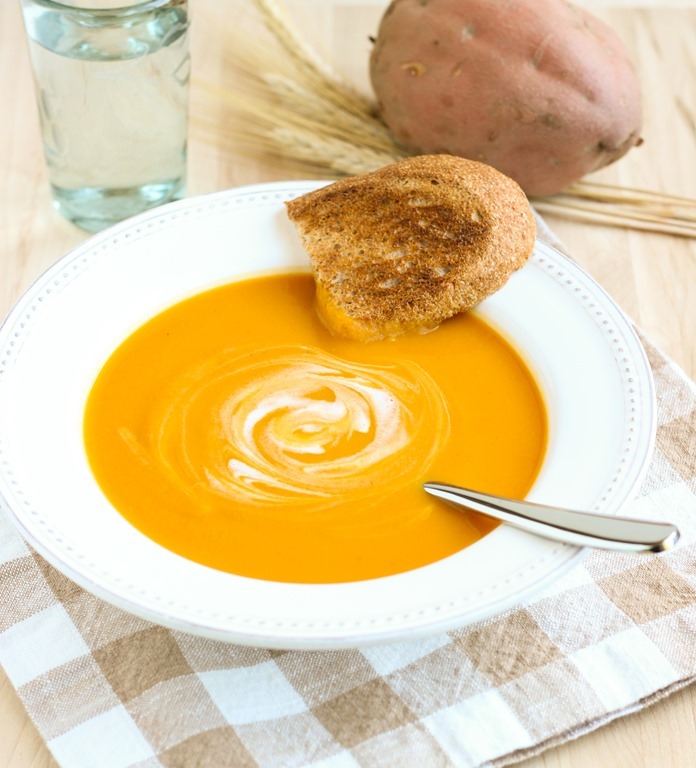 It made the soup more interesting visually and added a flavor boost. ~ Season with paprika spice for great aesthetic appeal! 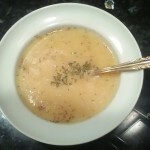 ~ This is very easy to prepare and has good flavor for a low fat soup. I tweaked it a bit by adding 1 celery stalk, the zest of 1 lemon, the juice from 1/2 of a lemon , and omitted the nutmeg. Next time I would try 1/2 of an onion and cut the lemon juice in half as well as it came out just a tiny bit “lemony”. I also used fresh broccoli (10 oz. by weight). Since I used lower sodium chicken stock I added 1 tsp. of kosher salt as well as 1/4 tsp. of white pepper. My yield was about 2 quarts and it wasn’t too thin or too thick, just right. I used a Cuisinart stick blender and it worked great. I served it with a bit of fresh grated parmesan cheese and it was a hit. For qualities such as low calorie, low fat, good flavor, and ease of preparation I give it 4.5 stars. Great for someone trying to lose weight too! ~ I added some cayenne pepper and black pepper as well for zip. ~ I used fresh broccoli that I steamed. ~ I added some red pepper flakes because I felt it was rather bland. 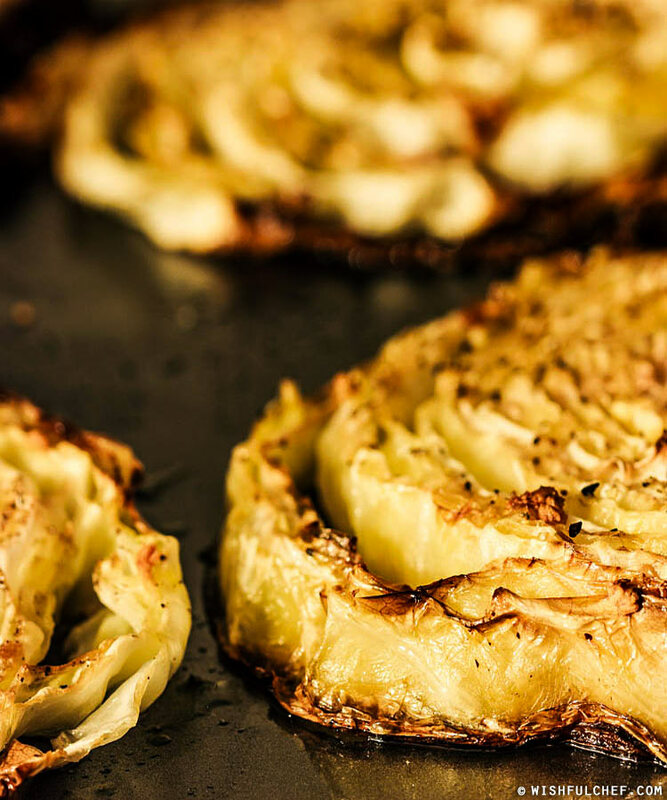 ~ It’s hard to find low calorie comfort food but this recipe fits the bill. 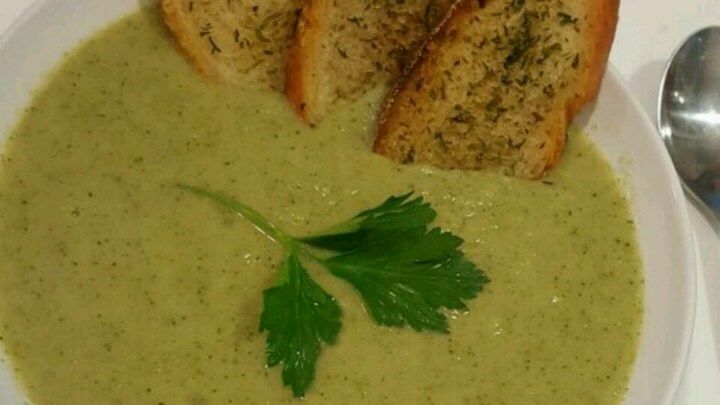 This is simply the best broccoli soup recipe I have ever made. I added an extra potato for extra thickness. 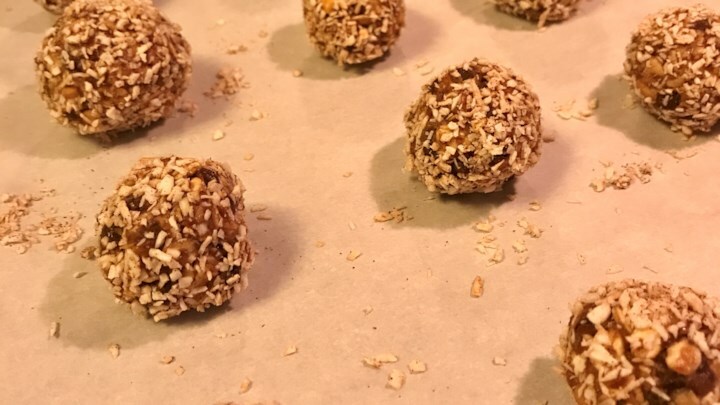 ~ Super easy to make and very tasty and healthy without all that cream and dairy. I was a little hesitant when I saw the nutmeg but it turn out it really works! I skipped out on the added salt because of the salt already in the stock. Two thumbs up for this recipe! Can’t wait to curl up on a cold day to have a bowl of it. ~ I tried this recipe because broccoli is my least favorite vegetable and I needed a delicious way to sneak it into me. This recipe did the trick! Absolutely delicious with just a hint of the broccoli taste. I used 2 potatoes instead if one. I love this recipe! ~ really impressed with the taste considering it doesnt have any flour, milk or any unhealthy ingredients. ~ Hearty and tummy-warming but not heavy. I swirled in coconut milk for an excellent complement of flavors. ~ I also used one bag of frozen cauliflower and one bag of frozen broccoli then roasted them in the oven before adding. – I added carrots, celery and shallots to the onions to start. I threw in a couple of extra potatoes I had and two more cups of broth. Also added herbs de provence and cheddar cheese after blending. Tastes good and very hearty and pretty healthy. ~ Used an extra clove of garlic and added hot pepper flakes while the potatoes were cooking. Used fresh broccoli and cut the stem all the way up til the broccoli flowerettes separated, then cut the stem into small pieces. Cooked the stem pieces with the potato, then pureed it well. Then added half the flowerettes and quickly pureed it, then added the remaining flowerettes and cooked the soup an additional 5min. Be careful cooking the soup after it has been pureed, it can stick and burn in the bottom of the pot. Omitted the nutmeg. ~ MARJORAM!! Replace the nutmeg with marjoram and this soup rises to a new level. My husband said it was the best soup I’ve ever made. I also followed the recommendation to add more potato to get a thicker consistency. It was fantastic! I am getting ready to make a double batch now because my husband and I ate the whole pot of soup in 2 days. ~ I used fresh broccoli. I used 2 unpeeled potatoes and had to add another can of chicken broth. I used an immersion blender and seasoned with salt and pepper and had to agree with those who said it was bland. I added about 3/4 tsp. dried thyme leaves and stirred in about 2 tablespoons of light butter, and what a difference! 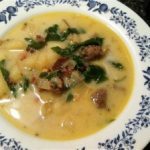 ~ This recipe taught me that that potatoes can be used in place of dairy in soup. ~ I added shredded cheddar simply for that goey goodness that I’ve always associated with broccoli soup.